Over the past four weeks or so, I've noticed a significant increase in attempts to shove comment spam into my various posts. Fortunately, the fact that I moderate all 'anonymous' comments (that is to say, comments from commentators who don't sign in) has kept these comments from polluting my blog, but dealing with them is proving to be a chore. 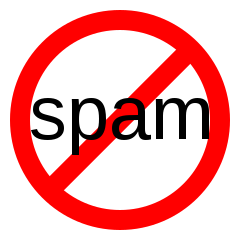 More embarrassingly, over on the Waterloo Wellington Bloggers Association blog, people who post there have found a number of notifications for moderated comment spam appear in their mailbox. I'll start searching for a way to route these just to the system administrator, if it's possible. The spam problem has been compounded by my switch to Movable Type 5.0 which broke an old plug-in that used to close comments on old entries. However, Movable Type does now offer captchas, which I am testing to see if it can limit the comment spam. And that's where you come in. I've posted a few test comments, and the system seems to be working. That doesn't mean a thing in the real world, however, until I hear from other people who have tried the same thing. So if you have any problems commenting on this blog, please shoot me an e-mail (click on the link at the bottom of the text in the column to your right) and let me know. The move to Movable Type 5.0 also included a clean install into a new database. I think this was a good thing because the old database that used to hold this blog and a handful of others had ballooned to half a gigabyte. The new database which holds this blog plus a number of others in addition to the ones the old database had before, has yet to reach 40 megabytes. Which tells me that a lot of legacy material from my days of running Movable Type 4, 3, and even 2 may have contributed to a lot of bloat and perhaps some instability. What this means for you, though, is that some of you who have been signing in to comment may have lost your commentator accounts. I hope you'll consider re-registering, since those who sign in to comment won't have to deal with captchas and will even have their comments posted immediately, without moderation holding you back. If you have problems registering, or if you find the whole prospect daunting, please let me know by e-mail, and I'll craft an account for you. Spammers are EVIL! Spammers are LICE! I hope their computers spontaneously combust and set their underwear on fire! I hope that people see them on the street and laugh at them!